Scroll down to schedule an appointment with Dr. Woodbury! 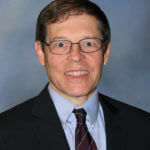 Dr. George Woodbury, Jr., is a board-certified dermatologist who graduated from medical school at the University of Chicago in 1987, completed his internship at Baptist Memorial Hospital in Memphis, and fulfilled his three-year dermatology residency at Rush-Presbyterian-St. Luke’s Medical Center in Chicago. He is an active member of the Memphis Medical Society, the Bluff City Medical Society, the American Academy of Dermatology, the American Medical Association, the Tennessee Medical Association, the Memphis Medical Society, the Memphis Dermatologic Society, the American Society of Dermatologic Surgery, and the American Society of Mohs Surgery. Dr. Woodbury is also a Clinical Instructor with the University of Tennessee Division of Dermatology. He holds clinical privileges at St. Francis Hospital, Methodist Hospital, and Baptist Memorial Hospital in Memphis, and he has been in the private practice of dermatology since 1991. He has been in practice together with his wife, Dr. Chapman, in Memphis, TN since 1993. Dermatology services include the diagnosis and treatment of skin, hair, and nail conditions. These include acne, psoriasis, and skin growths such as atypical moles and skin cancer. On-site, Dr. Woodbury performs sterile skin surgery, allergy patch testing, and Mohs (Micrographic) Surgery. He houses a high-complexity laboratory for full evaluation of bacterial and fungal infections as well as a Mohs laboratory. He also offers skin injections to help manage psoriasis, keloids and certain rashes. *He no longer participates in Medicare. Full payment for service provided will be due at the time of service. Our office will submit Medicare claims for our patients, and the patient will receive any reimbursement due them directly from Medicare. © 2019 The Memphis Medical Society. All rights reserved.